Bestowing upon the expertise of our professionals who are well versed in the manufacturing of this Trafimet Plasma Torch Parts, we have been able to offer this to our customers. It efficiently cuts the metal with fine edges. This torch is extensively used in a number of heavy duty industrial sectors where in metal cutting is regular. 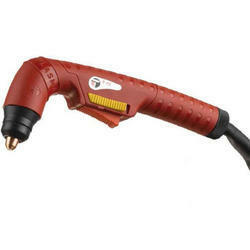 Looking for Plasma Cutting Torch Parts Cut60 ?